Hi folks! I’m here with another exciting update from the API team. There’s lots more changes in this release; check out the release notes or the commits for this release. We’ve been thinking about how to tackle the API in the coming future. We want to do the most we can to ensure you can build sites with confidence. Along these lines, we’re going to release a 2.0 final version in the coming months. This will be a completely stable release with guaranteed backwards compatibility for the foreseeable future. This backwards compatibility ensures that your sites can remain up-to-date with minimal maintenance or issues with upgrading. We originally held the software in beta for a long period to ensure that breaking changes could be rolled in if deemed necessary to move the project forward. However, the majority of these breaks occurred at the start of the 2.0 lifecycle, and the API is mostly stable at this point. Keeping the ability to break compatibility benefits only us, whereas moving to a stable release benefits everyone. Moving forward, version 2.0 of the WP REST API will follow a normal project release cycle. We will have minor releases in the 2.x series as new features are added, and bugfix releases in the 2.0.x series. As for the core merge itself, we are not submitting a merge proposal of the core endpoints for WordPress 4.6. We believe endpoints for the main WordPress objects (posts, users, comments, terms, and taxonomies) are not enough to garner the support needed for the proposal to be accepted. Our hope is that with a stable version 2.0 release, we will attract our community members that have been waiting for the endpoints to be available in core, and submit a merge proposal for the WordPress 4.7 release cycle. Thanks for catching up with us, and have a wonderful day. Just days before the first conference dedicated to the REST API, we bring you: 2.0 Beta 11 “Give me a white wine spritzer!”. Download it from the plugin repository or from GitHub. Moves Post->Term relations to the Post Resource. Previously, a client would fetch a Post’s Tags with GET /wp/v2/posts/<id>/tags. In Beta 11, an array of term ids is included on the Post resource. The collection of terms for a Post can be fetched with GET /wp/v2/tags?post=<id>. The WP_REST_Posts_Terms_Controller class no longer exists. Changes featured_image attribute on Posts to featured_media. While featuring other attachment types isn’t yet officially supported, this makes it easier for us to introduce the possibility in the future. Uses discrete schema title for categories and tags. If you’ve used register_rest_field( 'term' ), you’ll need to change 'term' to 'tag' and/or 'category'. Makes many filters dynamic based on the controller type. If you were using the rest_prepare_term filter, you’ll need to change it to rest_prepare_post_tag or rest_prepare_category. If you were using rest_post_query or rest_terms_query, you’ll need update your use to rest_page_query, etc. If you were using rest_post_trashable, rest_insert_post or rest_delete_post, they are now dynamic based on the post type slug. For the first REST API release of 2016, we bring you: 2.0 Beta 10 “Chief Wiggum”. Because we’ve got security releases too, Ralphie. On Friday, we discovered that attachments uploaded to private posts are publicly queryable through the REST API. This is a form of information disclosure because WordPress’ permissions model is such that attachments uploaded to posts should inherit the visibility of their parent post. All previous versions of the plugin are affected. All WP REST API users are strongly encouraged to update immediately. Many prior releases has been separately patched. If you’re still using WP-API v1.x, you can update to v1.2.5. If you’re on an older 2.0 Beta for whatever reason, we’ve tagged versions 2.0 Beta 3.1, 4.1, 5.1, 6.1, 7.1, 8.1, and 9.1. 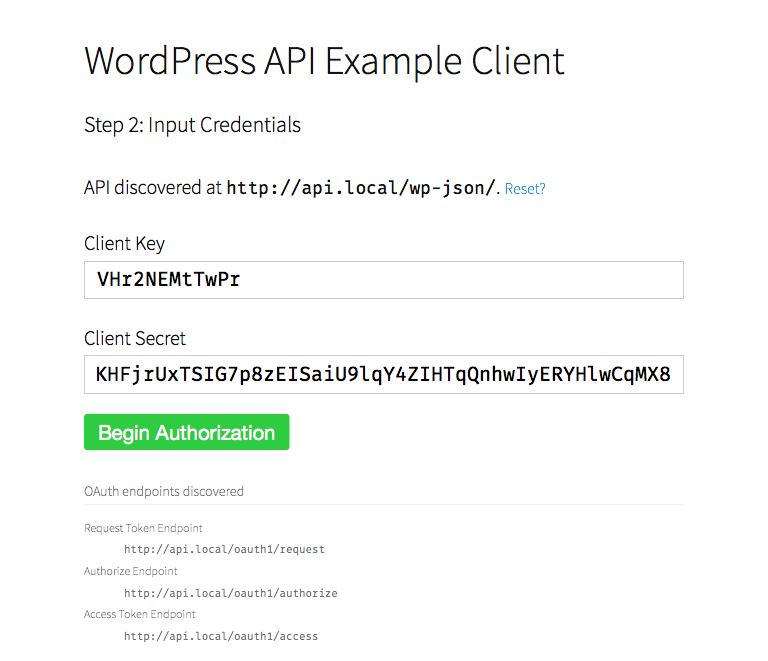 If you believe you have discovered a potential security vulnerability with the WP REST API, please disclose it to us privately by sending an email to security@wordpress.org. Security issues can also be reported via HackerOne. Removes compatibility repo for WordPress 4.3. WordPress 4.4 is now the minimum supported version. Changes link relation for types and taxonomies. In Beta 9, this link relation was introduced as item, which isn’t correct. The relation has been changed to https://api.w.org/items. Introduces edit context for wp/v2/types and wp/v2/taxonomies. Some fields have moved into this context, which require edit_posts and manage_terms, respectively. Removes post_format as a term _link for Posts. Post formats aren’t a custom taxonomy in the eyes of the REST API. Consistently query for a specified set of items. Adds include param to /wp/v2/posts, /wp/v2/users, /wp/v2/<taxonomy> and /wp/v2/comments. Tons of minor improvements and bug fixes. You should read the full changelog for all of them. For the last REST API release of 2015, we bring you: 2.0 Beta 9 “You Don’t Win Friends With Salad”. Download it from the plugin repository or from GitHub. Should I use 2.0 Beta 9 in production? This is a great question. I (Daniel) will do my best to answer from my perspective — Ryan, Rachel or Joe may have different opinions. As many of you may already know, the v1.x branch is essentially deprecated and only maintained for security and major compatibility issues. Even its latest release, v1.2.4, still includes some annoying bugs. The v2.0 Betas introduce aton of new features, functionality, and general improvements. But, there will never be a formal v2.0 plugin release — v2.0 will be endpoint inclusion into WordPress core. Right now, we’re doing our darned best to get the endpoints into core at the end of January 2016. Between now and then we have at least 74 issues to wade through. Beta 9 includes 32 merged pull requests. In the interest of feeling confident about the code we’re committing to core, we are and will be making breaking changes in the Betas. Significantly, Beta 10 will remove the core directory, and will be incompatible with WordPress 4.3. Short answer: you’re welcome to use the Betas in production if you understand the ramifications. When updating, we expect you to read through the changelog and thoroughly test each release with your project. You should probably have test coverage on any custom endpoints you’re writing. And, set aside time to properly debug any issues you uncover and submit pull requests with test coverage. If you aren’t comfortable with aforementioned ramifications, please refrain from using the v2.0 Betas in production. We do encourage everyone to use them locally, or in staging / test environments, and look forward to your feedback. Move tags and categories to top-level endpoints. Tags are now accessible at `/wp/v2/tags`, and categories accessible at `/wp/v2/categories`. Post terms reside at `/wp/v2/posts//tags` and `/wp/v2//categories`. Return object for requests to `/wp/v2/taxonomies`. This is consistent with `/wp/v2/types` and `/wp/v2/statuses`. Remove `rest_get_timezone()`. `json_get_timezone()` was only ever used in v1. This function causes fatals, and shouldn’t be used. Rename `register_api_field()` to `register_rest_field()`. Introduces a `register_api_field()` function for backwards compat, which calls `_doing_it_wrong()`. However, `register_api_field()` won’t ever be committed to WordPress core, so you should update your function calls. Change taxonomies’ `post_type` argument to `type`. It’s consistent with how we’re exposing post types in the API. Sync infrastructure with shipped in WordPress 4.4. `wp-includes/rest-api/rest-functions.php` is removed, and its functions moved into `wp-includes/rest-api.php`. Send nocache headers for REST requests. Fix handling of HEAD requests. Change terms endpoints to use `term_id` not `tt_id`. Standardize declaration of `context` param for `GET` requests across controllers. However, we’re still inconsistent in which controllers expose which params. Follow #1845 for further discussion. Link types / taxonomies to their collections, and vice versa. Collections link to their type / taxonomy with the `about` relation; types / taxonomies link to their collection with the `item` relation, which is imperfect and may change in the future. However, this isn’t always the easiest process to use (even if you have an advanced degree in hypothetical topology). To simplify this, we now have a discovery library for PHP 5.3+. The library also includes a demo that you can run using PHP’s built-in server, and we’re working on getting a public version of this up on wp-api.org so you don’t even need to install it. One of the weakest points of developing with the API right now is getting authentication working. For a long time, our OAuth server plugin has languished and fallen behind as we push forward with the API. No longer is this the case! Simply update to the latest master. This will also be available on WordPress.org very soon. Thankfully, this is now fixed, with a guide included and available on Gitbook. This is an initial version of the guide, and I imagine it’ll grow and improve further in the future. Combining all these pieces, there’s now a demo API client in PHP that you can download and run to try all of this out. The demo client uses the discovery library to find your site, then connects with OAuth to display your user details. Again, you can run this locally using PHP’s built-in server, and we’re working on getting a version set up on wp-api.org too. Internally, this uses the wonderful OAuth 1 client library by The League of Extraordinary Packages. This repo also acts as a provider for that library, allowing you to use the library in your own code to handle OAuth. Hopefully you find these pieces useful. As always, your feedback on all of this is much appreciated; we’d also love to see discovery libraries and demo clients in other languages, if anyone wants to port them across. Thanks for being great.